Last night, all of our visitors left, and I was sitting by Clay’s bed watching him breath. Suddenly, I got scared. Fear came and settled on me. I was not sure he would make it through the night and my mind starting imagining the scenario. The kids were with me and they could see that I was upset. So, they came around Clay’s bed with me. I prayed to the Lord, and he answered me. He freed me from all my fears. no shadow of shame will darken their faces. he saved me from all my troubles. he surrounds and defends all who fear him. Oh, the joys of those who take refuge in him! for those who fear him will have all they need. We prayed to the Lord and He answered us. He calmed me completely and His peace filled our room. We sat around Clay’s bed and talked about funny memories of him. He has been such a good dad, so the kids have plenty of stories to tell. We laughed and Clay tried so hard to say some words to us. I know he was listening to Sam’s prayer and that he knows the work God has done in our children through this time. What an honor for him to know that he leaves them with Jesus. What began as a fearful moment, became really beautiful because the Lord heard our cry. If you ever take anything away from our blog, this is what I hope you really understand…..
God does not love me and my family any more than He loves you. Every single thing He does for us, He can do for you. He is no respecter of persons. He wants you to feel as loved as we feel. He desires to bless you just as He blesses us. He is near to you if you will draw near to Him. As we walk through the valley of the shadow of death this week, I was reminded of a beautiful picture the Lord gave me several months ago. Clay and I traveled with Lee and Carla (our pastors) to a conference in Florida where we shared our testimony. The YouTube video is below. Last night, I could see this image of us so clearly. In the valley. The shadow falls all around us, but we can also see the light behind the shadow. The light is God. Jesus sits with us at our table in the valley and there is food, candles, our entire family, joy, laughter, peace. The best part is that our enemy stands there. When he thought he was dragging us into fear, death, darkness and loneliness, he is now forced to watch us eat our beautiful meal here at this table that Jesus prepared for us in the presence of our enemy. When Sam prayed that prayer last night, and then we sat together to tell stories the remind us of God’s faithfulness, I felt like we were sitting right there at that table with Jesus. It was so real. God is so good. So, then we slept. Good, too. Clay rested. I slept in the bed with him and all three kids stayed upstairs with me. And, for all of you who think I hate our dog…..Ellie slept up here, too! We left the worship music praying all night and God’s peace was here with us. Here are a few shots of the past few days. We love you, all! Thank you for helping us and for praying. Your faithfulness and strength is beyond measure. What an inspiration you, Clay and your family are. May God bless your family and continue to give you all peace. Our love and prayers go out for all of you. God’s peace and blessing be on each of you. As I have followed your blog over the past year, I am continually in AWE of you, Clay, and your children as you all walk this path that the Lord has you on. Each time I read an update that you have posted on this blog, I can FEEL the presence of the Lord! Thank you all for shining such an incredible light and witness for Jesus! We will continue praying for Clay, you and your family… Our hearts go out to you all, especially at this time. Keep drawing strength in the Lord from each other as you walk through this valley together not only as a mother and her precious children, but also as beloved brothers and sisters in Christ! God Bless! We love you all in the Lord! Beautiful feelings put into words so that all of us could be blessed. Thank you, Kristy!!! Much love and many prayers. This is so beautiful. I’m in tears and I don’t even know you. The Lord is surely with you all. May He continue to get glory. Thank you for sharing through this journey. People need to see what real faith is. I’m an oncology nurse and this really, really touches my heart. Thank you! I hurt so bad for my little niece, great niece and great nephews. My heart aches for them. But, I find joy in knowing they are in the arms of Jesus. He has their hands, their hearts and their lives in his care. He will continue this walk with them.What do people do without Him? I can’t imagine. He will never leave us or forsake us. Thank you Jesus, we need you now. This song came to me as I read this tonight. So much peace and comfort is seen here, because of Who you serve. Love you all so much. You have an amazing family and group of friends. My husband was diagnosed in June with stage 4 glioblastoma and you have helped me and inspired me so much. Thank you for sharing your journey. 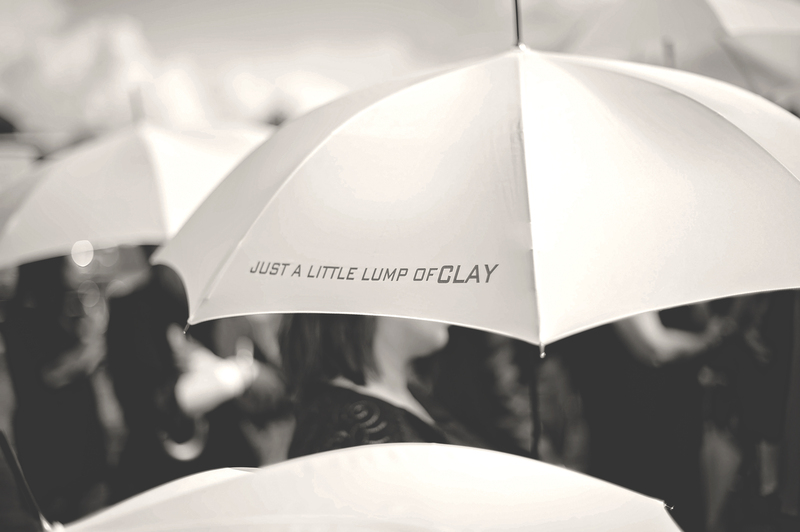 God bless you and your family and most of all Clay. Kristy, I have followed your and Clay’s journey through Kelli Forbes postings. As my heart breaks for you and the family, I can’t help but rejoice for Clay as he waits to enter heaven and see Jesus who has sustained him in this. He will soon be part of that great cloud of witnesses that cheer us on to finish our races. Just knowing that he will be healed doesn’t ease the loss you and your family will feel. My prayer for you all is that God will continue to pour out blessings, put His arms around you, and give you all that peace and comfort that surpasses understanding. You have been strong but don’t forget to cry. Your tears are precious to God. Just know that you and your family are in my prayers.